Old world competitors from the Bordeaux and Burgundy region have got their work cut out to hold on to the lion’s share of wine exports as South African fine wine continues to make a splash across the world. South Africa has varied weather conditions and topography. This promotes the best qualities of Bordeaux-style reds, without all of the environmental calamities of the European region. 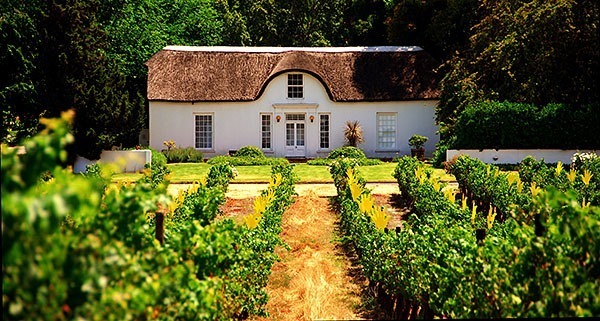 South Africa's sunshine also means a similar level of ripeness and alcohol content as Bordeaux varieties, without the threat of hail, rain and frost that can ruin European wines. Dalla Cia is one of the oldest winemakers in South Africa, having paved the way for many other innovators since starting out in 1980. Dalla Cia sources its grapes from the Helderberg region of Stellenbosch and takes a slow and methodical approach to oak maturation, that allows the wine and oak to interact gradually. This releases the colour and the intricacy of the flavour and bouquet at a leisurely pace. This white wine blend is a barrel-fermented Sauvignon and Semillon. It's a vibrant and light accompaniment to food such as seafood and chicken; evocative of a sunset on the Cape Town coastline or perhaps an outdoor spring picnic. The entire spectrum of foodie enjoyment is encapsulated in this layered and complex wine. With equal parts zest and softness, it won't fail to impress. This is a Cabernet wine that lives up to its melodic and harmonious name. It blends creamy textured tannins with a delicate softness. Winemakers can create a Cabernet in many regions across the globe. However, to create a brilliant Cabernet takes an exceptional vineyard, a dedicated practice and sublime grapes. This wine hails from three different vineyards: a farm called Wildepaardekloof, which means 'Wild Horse Valley in Africaans, a vineyard high up in isolated mountains; a vineyard called Silkbush in the Waaihoek mountains; and from a farm called Glen Fruin. The result is a symphony of blackcurrant and mint flavours, and a textured blend of creamy tannins that complements rich and intense foods. New kid on the block, Savage Wines, is the creation of renowned winemaker Duncan Savage. He was the wine maker at Cape Point wines and has been creating amazing wines for a while now. Now he's launching his own label, simply called Savage Wines. The first cab off the rank is Savage Red 2011, which is a red blend of 72% Shiraz, 7% Cinsaut and 21% Grenache. The bouquet features an amazing array of aromatics like fine cherries, pepper sauce and spices. Expect a silky, slinky, peppery experience for the palate. Another exciting wine from Duncan Savage is the Savage White 2012. This comes from the high-altitude vineyards of Villiersdorp. This white wine mix is a smashing array of 30% Semillon and 70% Sauvignon, that's aged in 100% French oak for 10 months. The result is a stunning wine of complexity and sophistication. South African fine wine is like the younger, fresher and more innovative cousin to the old world European wines. Ignore it at your palate's peril. Last updated by jack on 12 August, 2014 in Food And Drink.